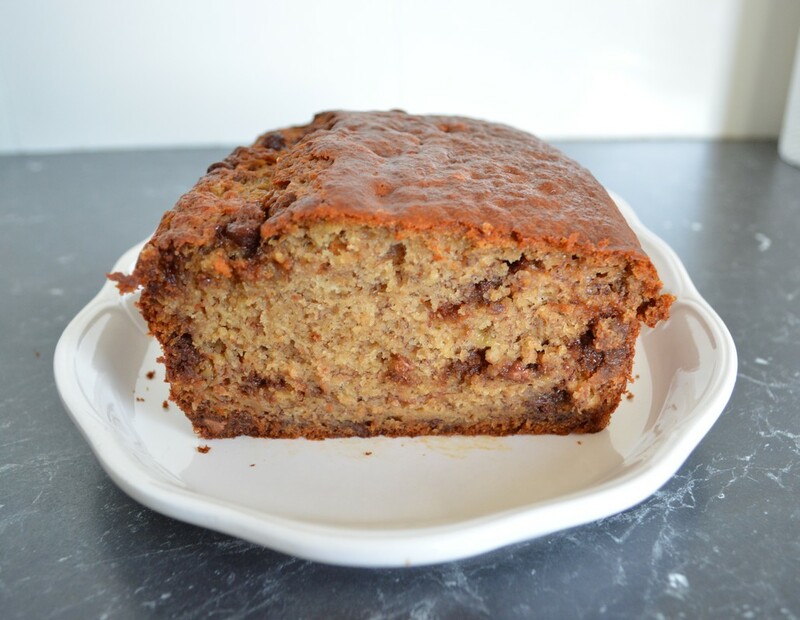 This is the second chocolate banana bread recipe on my site. My kids love the other one, but for me it was just not what I loved. So I kept searching for another recipe that I would love as well and this is it. (I am still keeping the other one on the website as when I make it my kids do love it). This banana bread I made with over ripe bananas that I had frozen, all other ingredients I had in my pantry. It is so easy to make, it literally takes 5 minutes to throw together, no butter needs to be softened, whipped, nothing. Just put it in a bowl and stir. I used a whisk, but if you don't have one use a fork. Bake it until it feels baked, no wobbly bits in the centre. 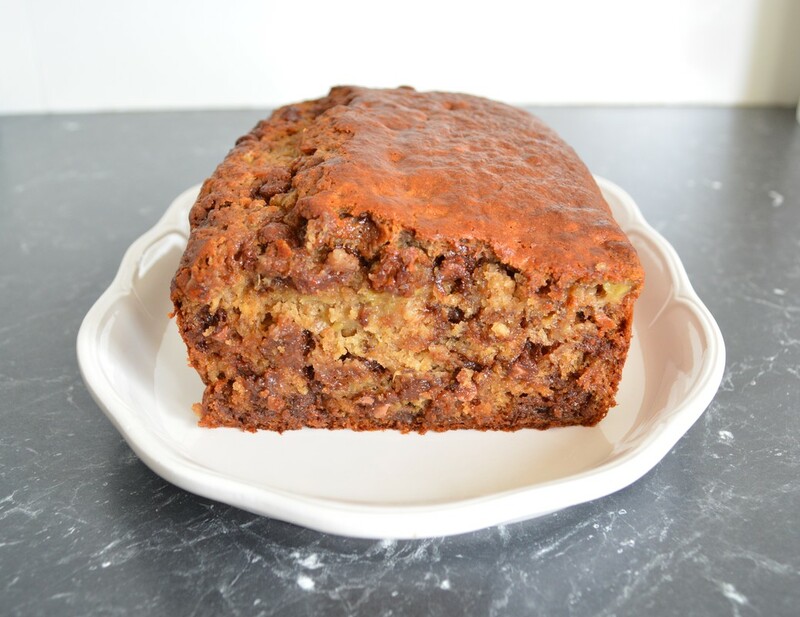 My whole family loves this chocolate banana bread, including my husband. Give it a try, this will not disappoint. Preheat your oven to 180C/160C fan forced. Grease and line a 19cm x 11cm loaf tin. Mash the bananas in a medium sized bowl with a fork. In a large mixing bowl add the flour, sugar, cinnamon and bicarbonate of soda. Add the eggs, milk and olive oil, whisk to just combine. Stir through the bananas and chocolate until just combined. Bake for 50-60 minutes or until golden and cooked through. Test with a skewer or gently press on it, it will feel cooked. Remove from the oven, allow to cool in the tin for 5 minutes before lifting out of the tin and allowing the banana bread to cool on a wire rack.